The 2018 Open19 Summit is in the books! Over 250 people filled the Bayshore Ballroom at the DoubleTree Hotel in San Jose on Sept. 27 to learn about the latest innovations in the open data center and edge movement. 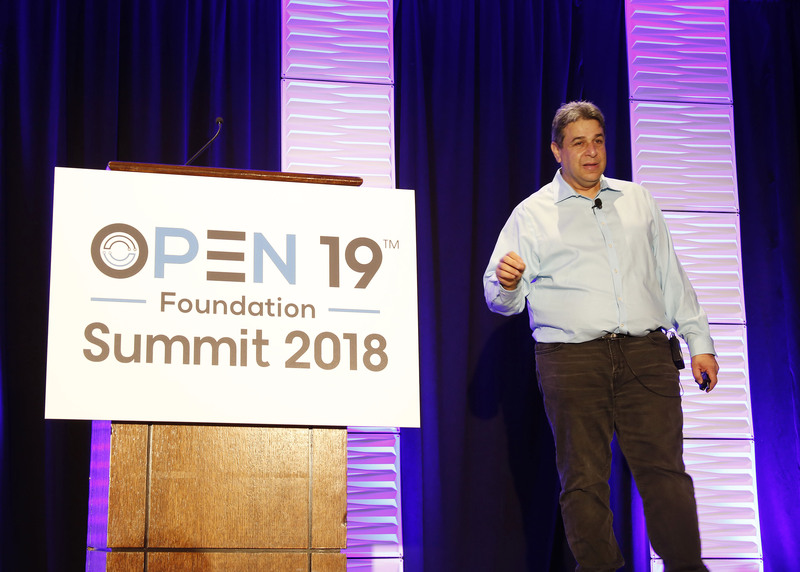 Open19 Foundation President Yuval Bachar took the stage first announcing the contribution of the Open19 platform to the Foundation by LinkedIn. This contribution will enable anyone to develop products based upon Open19 technology. Bachar also shared that Open19 tech is currently deployed in LinkedIn’s data centers and is being developed by multiple member companies. “We are ready for prime time,” Bachar announced, to applause from the audience. Open19 Foundation President Yuval Bachar kicks off the Open19 Summit. In other Foundation news, Bachar announced the launch of the newly-developed Open19 Marketplace. This online marketplace displays products developed by Foundation member companies supporting the Open19 Project, including Flex, Celestica, Amphenol, APC by Schneider Electric, Delta, Inspur, Molex and Chatsworth Products. The full-day Summit featured presentations on The State of the Edge, Open19 Platforms Deployment, Server Designs and Deployment and an exploration of The Rough Road to Simple Solutions. Panel discussion topics included edge solutions, integration, hot industry topics, and a Q & A with the Open19 Foundation Board, as well as sponsor company presentations highlighting individual Open19 solutions. 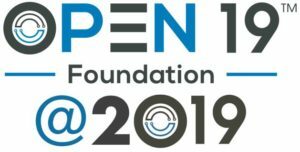 Videos of all presentations are now available on the Open19 Foundation YouTube Channel! Summit attendees view the LinkedIn rack. Speakers and panelists included representatives from LinkedIn, Vapor I/O, Flex, GE Digital, Packet, Sprint, Amphenol, Molex, Inspur, Mellanox, Broadcom, and HPE. Attendees also had the opportunity to visit exhibits from Amphenol, Flex, Inspur, LinkedIn, and Molex. A special thank you to the 2018 Summit sponsors: Amphenol, Flex, Inspur, LinkedIn, Molex, and Packet, for helping make the event a success. Also, a big thank you to everyone who attended in person or watched our live stream. 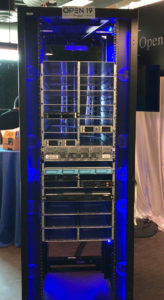 It’s exciting to see our efforts toward building a community around open data center and edge solutions coming to fruition. Stay tuned to our website and follow us on Twitter, LinkedIn, and Facebook for future updates around Open19 Foundation activities and events. 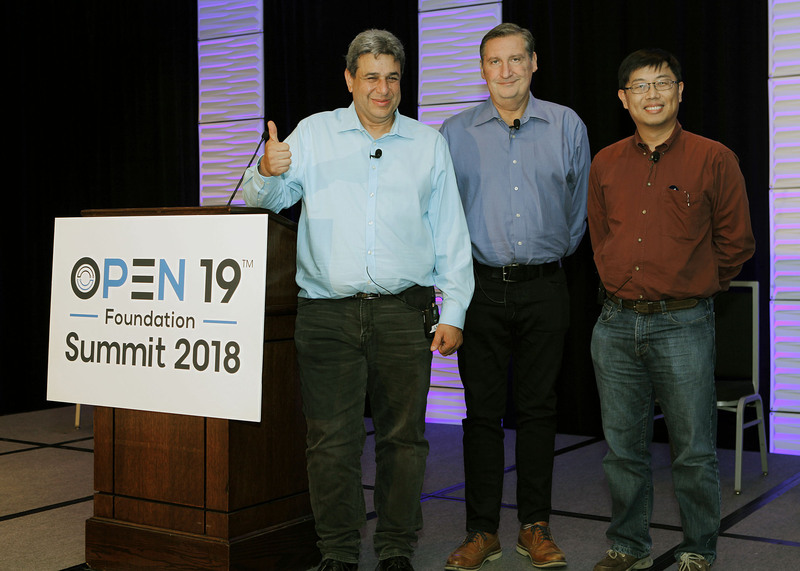 Open19 Foundation Board members Yuval Bachar (LinkedIn), Chris Winslow (Flex), and Jim Kuo (HPE), smile after the Board Q&A Panel.